No doubt Indian Prime Minister Narendra Modi's visit to Singapore next week will fire up sections of the Indian diaspora here, but his official engagements will carry even more significance. To celebrate the 50th anniversary of diplomatic relations, the two countries will sign a strategic partnership agreement. The focus will most likely be on the economic and people-to-people ties. However, one aspect of the relationship is often overlooked - the remarkable transformation in defence ties. Ties have grown since the 1990s, following decades of indifference during the Cold War, when the two countries were in different camps. 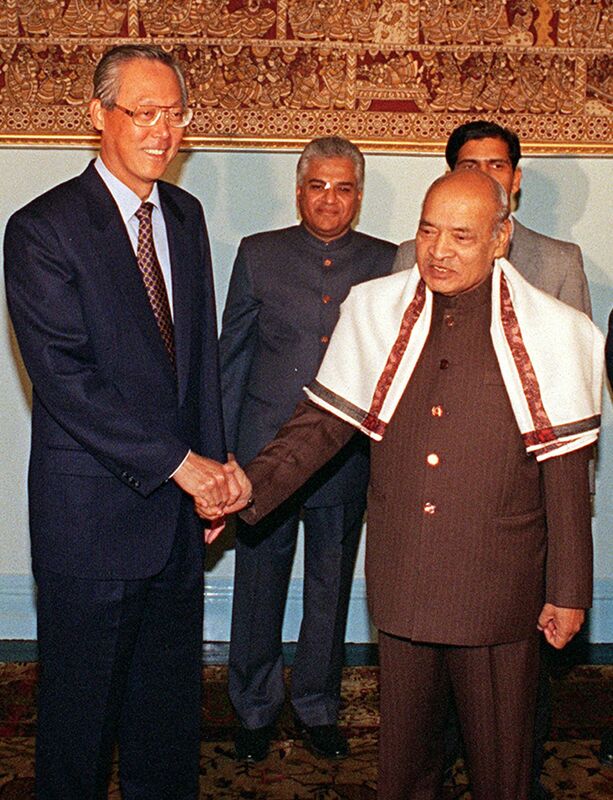 Ties started warming when, responding to the unfolding economic reforms in India, then Singaporean Prime Minister Goh Chok Tong called for an "India Fever". Prime Minister P.V. Narasimha Rao responded to this sentiment by coming to Singapore to enunciate India's "Look East Policy" - premised on the notion of engaging South-east Asia. That paved the way for a transformation in the bilateral relationship. Singapore thereafter played an important role in facilitating India's entry into various regional institutions, like the Asean Regional Forum and East Asia Summit. Some Indian diplomats have therefore called Singapore the "hub" and the "pivot" of India's engagement with South-east Asia. The defence relationship played an important role in facilitating the transformation in bilateral ties. In 1994, both countries began annual naval exercises titled Lion King (since 1999, these exercises were renamed as Simbex). India brought its Russian submarines for the exercises, which provided an opportunity for the Singaporean Navy to engage with non-Western hardware. Over time, these exercises, the 22nd iteration was held earlier this year, have become more complex and resulted in enhancing interoperability. In 2003, the two countries signed a Defence Cooperation Agreement. This landmark document paved the way for Singapore's army and air force to conduct training on Indian soil - overturning a longstanding tenet of India's security policy. This led to regular exchanges, including live-fire exercises, between the armies and the air forces of the two countries. As a result of regular defence exchanges in 2006, Singapore appointed a defence attache in its high commission in New Delhi. Also, it created the Defence Policy Dialogue between the two, which meet regularly to share perspectives on various security-related issues. Despite these developments, there are challenges in sustaining this level of defence cooperation. Some analysts have even expressed a fear that without new initiatives, the defence establishments may gradually lose interest in each other. This engagement can be sustained in two ways. First, there is a need to invest in articulating the value of the relationship, aspects of which are, unfortunately, largely glossed over. For instance, the frequency of the military engagement has, besides generating goodwill, changed the perceptions within both militaries. There is, therefore, a yet-untold story about the role of military exchanges in changing these perceptions. Also, the defence communities should broaden their engagement. Besides professional military exchanges, there is a need to develop an understanding of regional developments and each other's foreign policy. This can be done by incentivising education for military officers in respective public policy schools. Second, the two countries should seriously explore avenues in defence technological collaboration and trade. Long identified as a potential area of cooperation, this aspect of the relationship, however, has faced numerous obstacles. Most recently, ST Kinetics was "blacklisted" in practice on unproven allegations of bribery. This has since been relaxed amid renewed speculation that the two countries wish to explore avenues in joint co-production and development. Indeed, with the new government's emphasis in the "Make in India" campaign, this should fetch serious attention in both capitals. Singapore and India are currently united not just through cultural and historical ties, but also through a convergence of strategic interests. Both countries have been targeted by Islamist fundamentalists and, moreover, wish to ensure the status quo in the South China Sea. The potential for cooperation is immense - in cyber security, for instance, and in development of new technologies. In light of the horrific Paris attacks, citizens in both countries should realise that defending the Merlion and the Ashoka should not be taken for granted and, as a work in progress, will require constant attention. •The writer is an assistant professor at S. Rajaratnam School of International Studies (RSIS), Nanyang Technological University (NTU), and is the editor of The Merlion And The Ashoka: Singapore-India Strategic Ties (World Scientific Press, 2015).